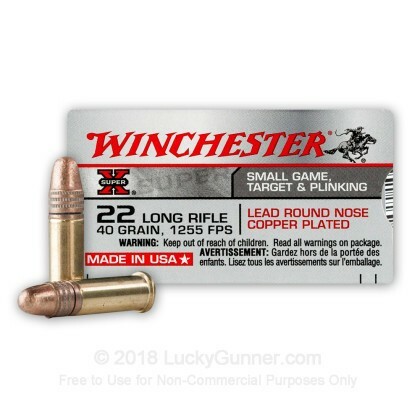 This 22 Long Rifle Rimfire ammunition from Winchester will be a great multi-purpose round to fulfill your shooting needs! 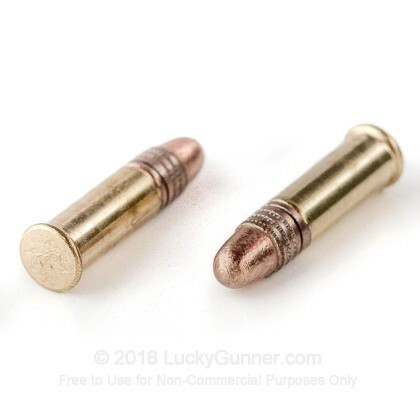 These 50 rounds are an excellent solution for when you want to go target shooting, plinking, or even eliminate some pesky squirrels that are invading your home. Each cartridge contains a 40 grain lead round nose bullet, resulting in an accurate and dependable shot, round after round. With an advertised muzzle velocity of 1255 feet per second, the power you get from this ammunition is tremendous. Even better, these rounds are very economically priced, given their exceptional quality. 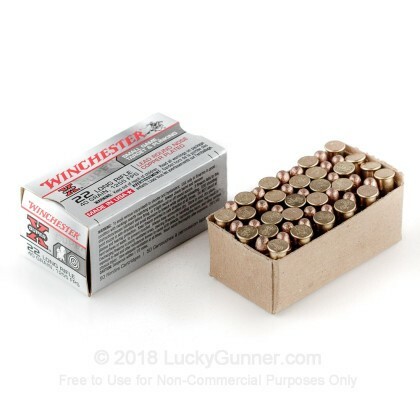 Winchester ammunition has been around since what seems to be the beginning of ammo time. For years, hunters and shooters worldwide have trusted Winchester to meet their needs. They don't call themselves "The American Legend" for nothing. Place your order today and feel proud to own some of the best around. 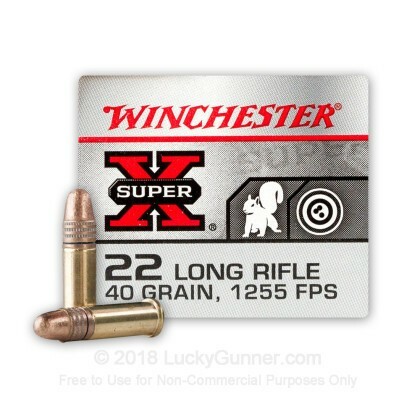 We also have this 22 Long Rifle - 40 Grain Copper Plated Round Nose - Winchester Super-X - 500 Rounds ammo in stock in a bigger quantity.